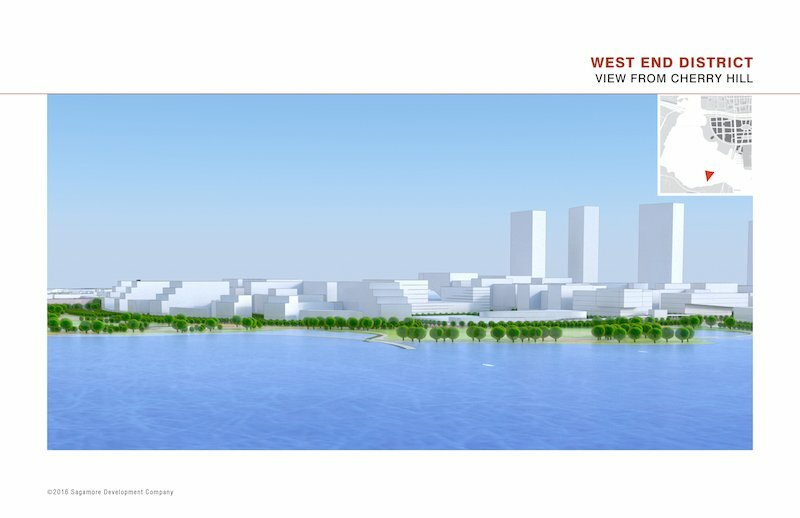 Sagamore Development’s Master Plan for Port Covington is getting more detailed as the team presented its plans for the redevelopment of Hanover St. and the West End District on Thursday at Urban Design & Architecture Review Panel (UDARP). 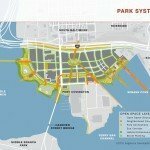 Sagamore recently unveiled its master plan for all 266 acres of Port Covington, followed by plans for East Waterfront Park in the East Waterfront District as well as Under Armour’s master plan for its 50-acre campus and world headquarters at the former Port Covington Shopping Center. Teaming up on Thursday’s UDARP presentation with Sagamore was Elkus Manfredi Architects, STV, Biohabitats, and Landworks Studio. 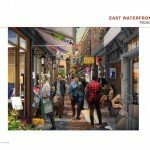 The plan was focused on creating a more pedestrian-friendly and multi-modal Hanover St. as well as creating a new area to be called West End District, which will be located west of Hanover and along the Middle Branch. 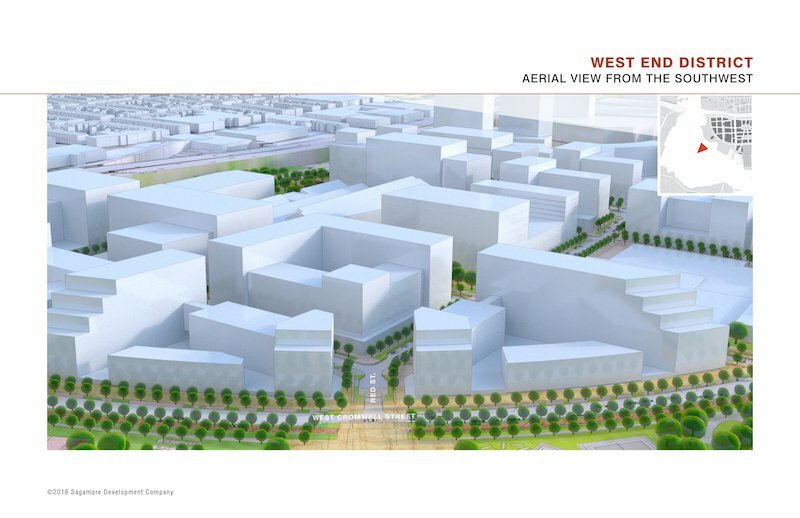 The West End District is approximately 80 acres, broken down as 27.5 acres of development blocks, 28 acres of parks, and 24.5 acres of right of way. The area is currently known as West Covington and is home to Swann Park, Schuster Concrete, Sagamore’s City Garage, West Covington Park, and several industrial companies. Sagamore owns many of the parcels in the district. The City of Baltimore owns – and Baltimore City Recreation and Parks runs – Swann Park. 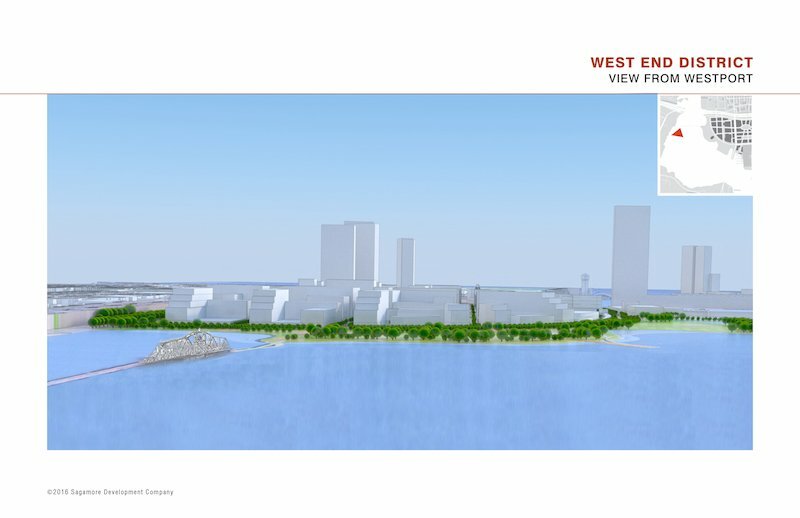 The West End master plan proposes replacing Swann Park, located at the northern section of the area, with 28 acres of active park space along the water. Sagamore has begun discussions with Baltimore City Recreation and Parks and recognizes the fact it was a youth field for Hall of Famers Al Kaline and Reggie Jackson. 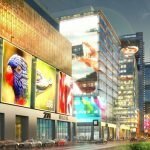 Detailed plans for the park will be presented at future presentations, but the team is planning on blending the new street grid and new park with several elevated pedestrian perches that look out on the park spaces. They described these perches as like a “trail head” or “moment of arrival.” UDARP panelist and landscape architect David Rubin praised this idea. At West End, Sagamore envisions utilizing the space for office, residential, commodity retail, maker space, and parking uses. Each block will be slightly different in size and shape with the street grid focused on gateways out to the Middle Branch. 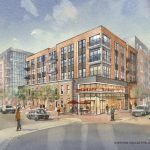 Two existing properties, City Garage and Schuster Concrete, will remain and the buildings’ footprints will help shape new blocks of the development. An addition is planned for the southern end of City Garage and Sagamore is hoping for an adaptive reuse project at Schuster. Sagamore is eying blocks near the waterfront for retail and restaurants with building heights throughout West End varying in size up to 120 feet in height. West End will feature a variety of residential options at various affordability levels. 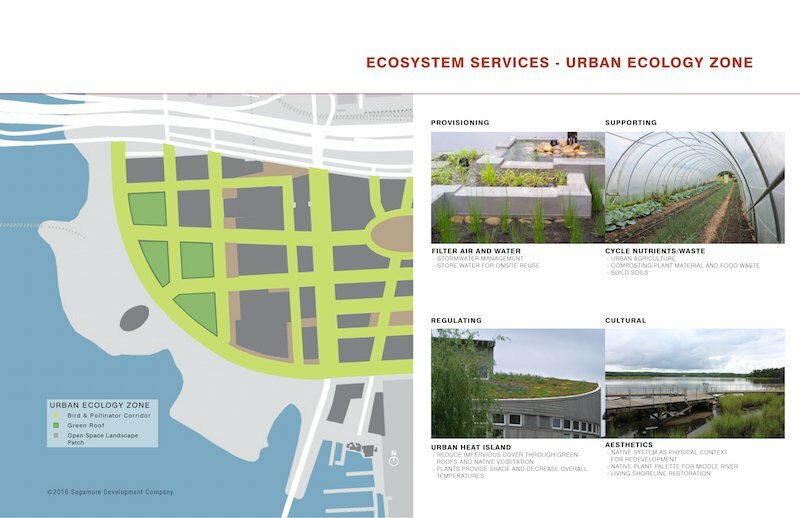 The team is also thinking about green roofs near the park space to extend the ecology of the waterfront. Sagamore plans on extending Cromwell St. through West End as a landscaped boulevard between the park and the new blocks of development. All the new streets were described as “walkable” and a new street parallel to Hanover, called Black St., would create one of the new north/south cycling corridors in the area. Black St. would also feature a greenway park space. Streets within the development will vary in size. 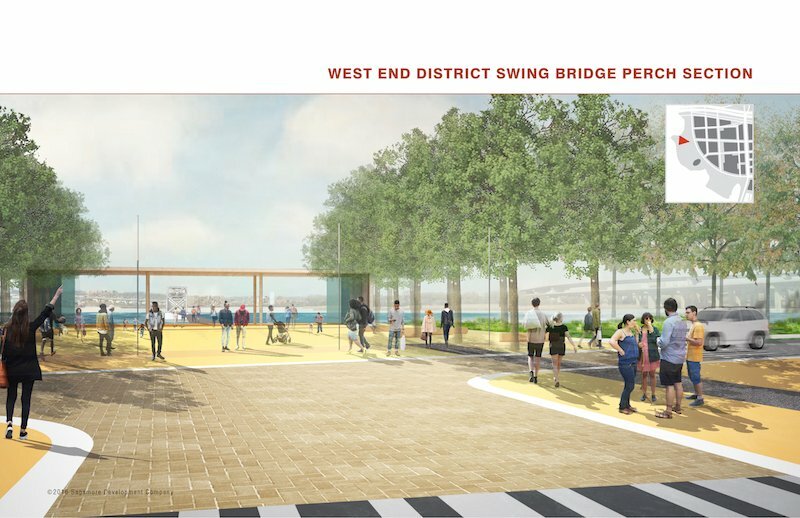 Sagamore plans two new walking bridges in West End. 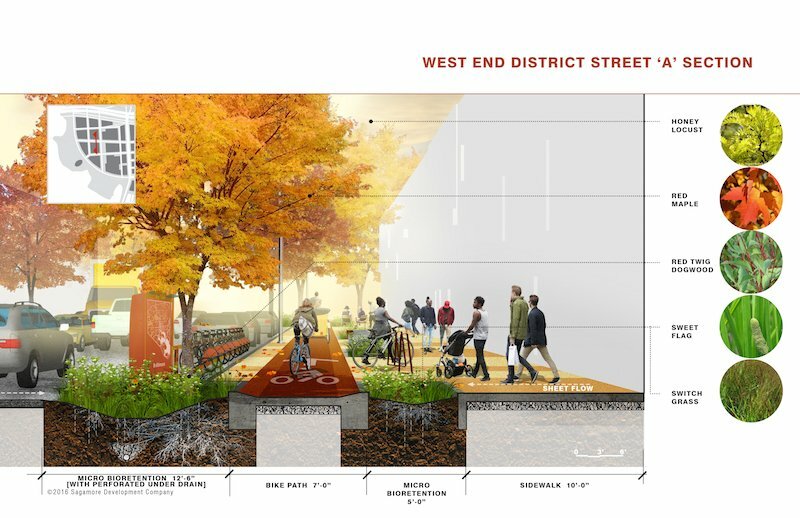 This includes the redevelopment of the Spring Garden Bridge, which connects the area to Westport, and a gateway elevated pedestrian bridge rising above Hanover St. at Cromwell St. UDARP panelists expressed some concern with the pedestrian bridge noting they needed to take a closer look at it and engage in more discussion. Major changes are planned for Hanover St. in Port Covington from McComas St. to Cromwell St. where it meets the Hanover Street Bridge. Much of Hanover St. in this area is an above-ground ramp and Sagamore intends to bring much of it back down to grade just past McComas St. 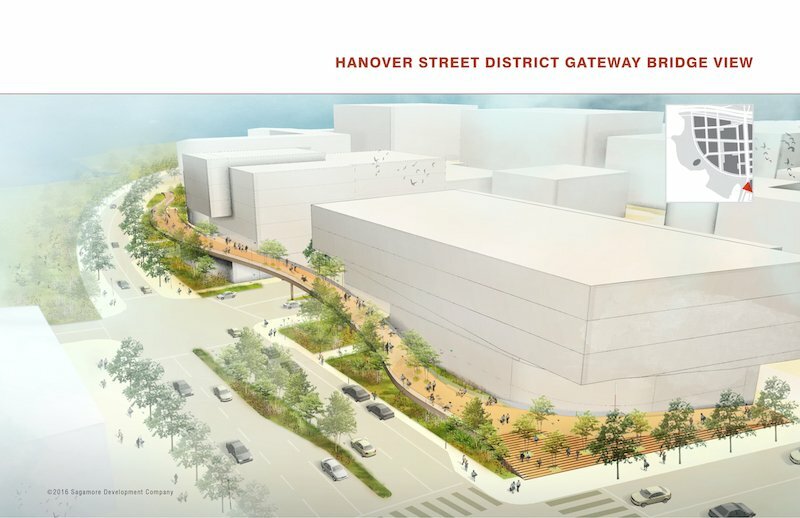 The team also plans on adding large sidewalks to Hanover St. as well as a median, on-street parking, trees and new landscaping, and new east/west intersections that are safe for pedestrians and vehicles. Though Hanover St. will not have dedicated bicycle lanes, new parallel streets to the east and west of Hanover, including Black St., will include them. Along Hanover St., Sagamore plans to add office and retail buildings with continuous ground floor retail. Manfredi said retail foot prints would be up to 14,000 sq. ft. Office buildings are planned for the northern and southern stretch of Hanover St. with residential buildings in between. Outside of on-street parking, all additional parking structures on Hanover St. will be below grade. Building heights will range from approximately 103 to 125 feet, lowering in height as the street moves south. Increasing access to the area, Sagamore is planning a Light Rail spur with stops along McComas St., as well as a road connection to the area near Westport. 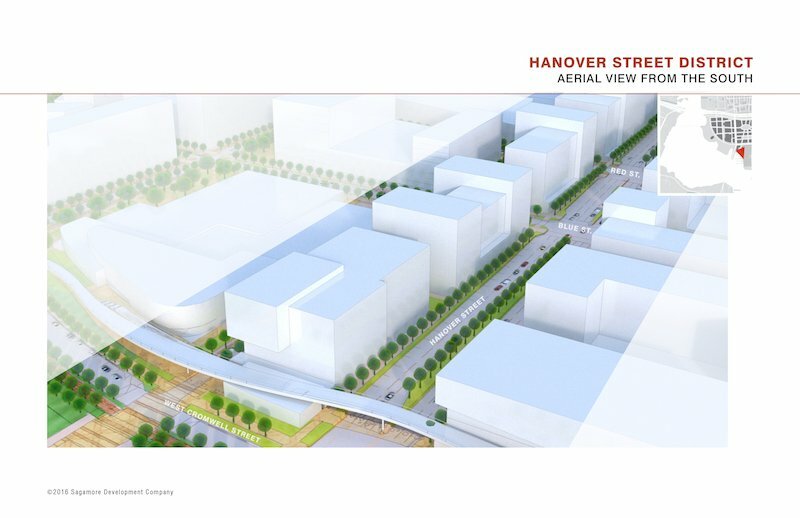 Sagamore is also hoping to widen the existing ramp connecting Hanover St. to I-95 South. Sagamore’s Port Covington Master Plan also includes new water taxi stops, bus routes, and bike share stations. The Baltimore City Department of Transportation recently launched a four-year study taking a look at whether to rehabilitate or replace the Hanover Street Bridge as well as the Hanover St. corridor from Wells St. in South Baltimore to Reedbird Ave. in Cherry Hill. Sagamore expects to have a seat at the planning table alongside many others and it will continue to coordinate with the Department of Transportation as its plans progress. Sagamore expects the infrastructure improvements to West End to be a multi-year process and it is eying adaptive reuse of existing structures, if vacated by the current occupants, to be the next real estate projects it pursues.